This vinegar health drink is a life-changer. Literally. We drink it at least once a day, but we aim for 2-3 times when we can remember. I am not usually particular about brands, except when it comes to apple cider vinegar. 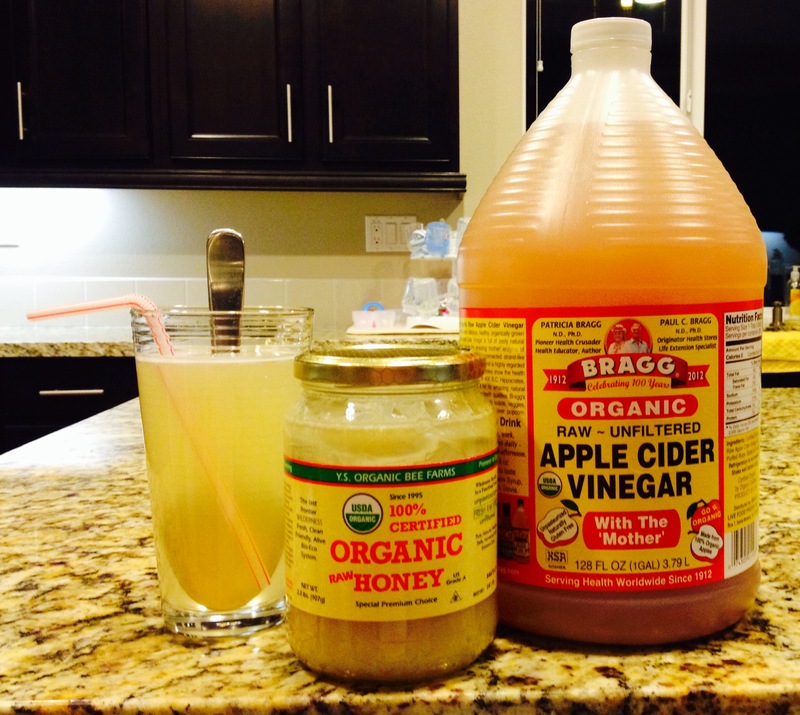 Bragg Raw Organic Apple Cider Vinegar is by far the only brand to use. It is raw, and it also contains “the mother” which is naturally-occuring strand-like enzymes of connected protein molecules. Raw organic ACV is anti-inflammatory, reduces bloating and heartburn, regulates blood sugar levels, lowers bad cholesterol, is rich in minerals, and protects against cancer. This drink also eliminated the symptoms of Restless Leg Syndrome in my grandma after drinking it only ONCE (she now drinks it every evening before bed)! Have I convinced you to try it yet?!? I should warn you, this is not necessarily a drink that you will drink because you like the taste (it is vinegar, after all). However, the health benefits make it totally worth it! Stir water, vinegar, and honey together until honey has dissolved. Drink with a straw to avoid unnecessary acid on your teeth. and if the taste bothers you, add a little more honey and remind yourself that you are doing something great for your health!